On Sale Now! Free Shipping Included! Save 2% on the #1 POLY GLOVE Shoulder Length Polyethylene Glove, White, Case of 1000 by #1 POLY GLOVE at Blog Free Here. MPN: 804-88. Hurry! Limited time offer. Offer valid only while supplies last. White shoulder length (34 inch) low density (.04 MM) smooth finished polyethylene gloves Made in an ISO 9001:2008 certified factory. Made of U.S.D.A. 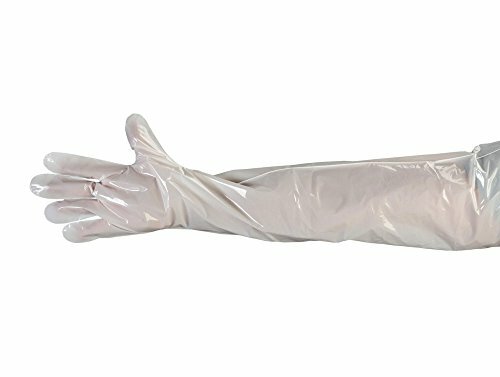 White shoulder length (34 inch) low density (.04 MM) smooth finished polyethylene gloves Made in an ISO 9001:2008 certified factory. Made of U.S.D.A. accepted materials. 100 gloves per dispenser, 10 dispensers per case, 1000 gloves total. If you have any questions about this product by #1 POLY GLOVE, contact us by completing and submitting the form below. If you are looking for a specif part number, please include it with your message.